We have found that the traditional SWOT Analysis doesn’t really do enough to help manage your finances. So, we re-defined it. 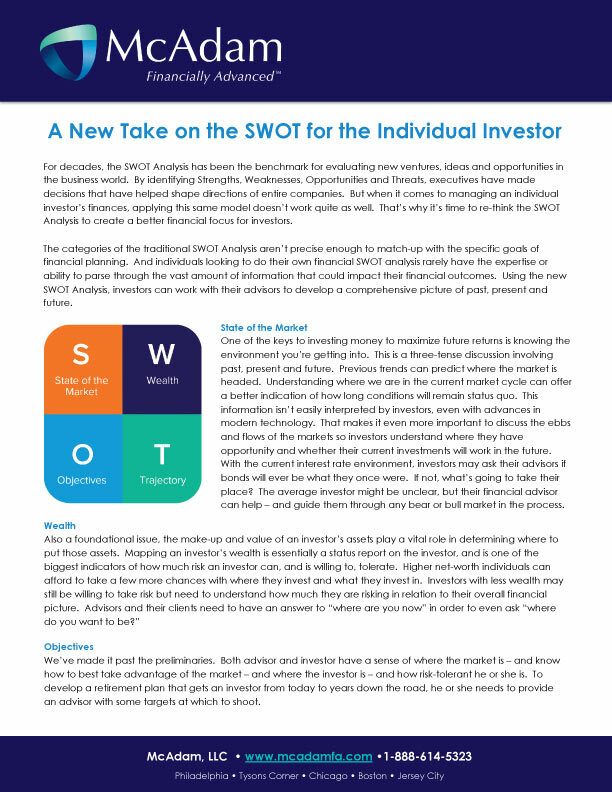 Our new SWOT Analysis is developed exclusively with the individual investor in mind, and can help every investor on the path toward an advanced retirement. Click this link to open the full McAdam SWOT PDF.